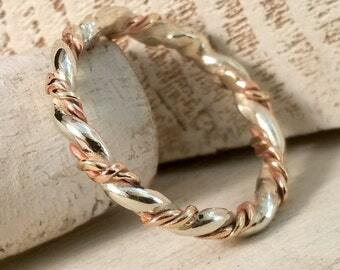 Three Twisted 9ct gold ring. 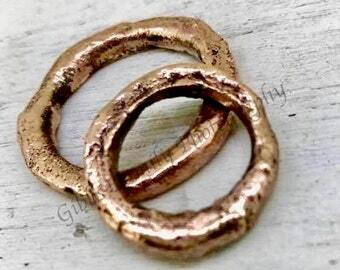 A beautiful ring made of three different types of gold in a wonderful twisted knotted pattern. 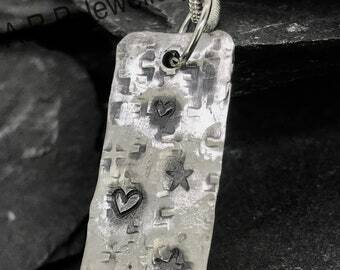 Sterling Silver Dog Tags style necklace on a silver chain. Handmade 925 Sterling Silver Wedding bands made in your specifications to make your day even more special! 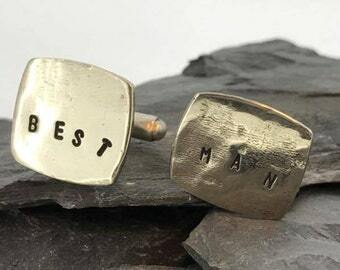 Recycled rectangular sterling Silver Cufflink's with the words best man stamped onto them. 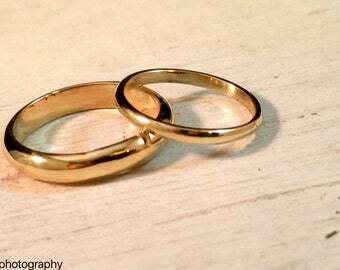 Gorgeous set of 9ct Gold Wedding Bands for him and for her! The ideal rings for your wedding day! Item arrived sooner than I expected. Delighted with the quality of this item. Great ring, exactly as described. New order of our eastern star dangly earrings all made and ready to go off to their new homes! On Sale Now! Eastern Star Dangle Drop Earrings in a vintage style made with Swarovski Crystal Pearls and in a gun metal colour. Beautiful Jewellery at Affordable Prices!!!! A.R.P Jewellery is a local company based in Devon who sells and makes jewellery from Stirling Silver, Gold and Palladium. We use many different types of jewels such as Cubic Zirconia and Swarovski Crystals. We design all of our own items and then make all of our pieces of jewellery. We are a new company but as you can see from our products we offer the best of the best and are only happy when our customers are. 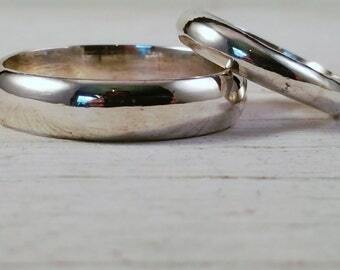 We offer a 6 month guarantee on all Stirling silver items which includes resizing of rings if they become loose and a free one of polishing and cleaning service! How did I start in the jewellery business? I first started designing jewellery in 2013, when i was asked whether I could fix a pair of earrings belonging to a member of my family. Since that have excelled all expectations in selling as many items as I currently have. A.R.P Jewellery is a small jewellery company in the South West of England and prides itself on designing and producing beautiful and delicate items of jewellery. I have so far sold pieces of my jewellery on Ebay and would like to draw your attention to the feedback I have received. All items of jewellery are placed in a gift bag and packaged up so items are protected during transport. We are branching out and using different metals and materials such as silver, Mexican bronze, bronze, brass, gold, platinum! Our latest achievement is being added to the national list of hallmarked jewellers and obtaining our hallmark! For an extra couple of pounds we do not mind sending next day delivery. For more information regarding A.R.P Jewellery do not hesitate to email and get in touch and I will endeavour to answer any questions. I started making jewellery over a year ago, the time has flown by and since then I have managed to exceed all expectations of myself and the business :) My studio is in a converted shed and I make all my jewellery on site, in South Devon. As one of the managing partners of the company, I help with the day to day running of the business. I take the majority of the photos and help with all aspects of advertising including our shop on Etsy! Our beloved Springer Spaniel Ricky, sits in with Alan whilst he does his creative thinking! Ricky also helps chose ideas which he thinks are most profitable. When you buy an original piece of A.R.P Jewellery’s hand crafted work; you are not only buying something for yourself but you are buying something with story, history and with careful precision to make sure your piece is the ideal piece for you! The reason we make jewellery is so you can feel happy and comfortable not only wearing your new jewellery but also showing the world your new purchase! A.R.P Jewellery is a unique business based in South Devon in the UK. You may ask why are we so unique? We are unique because we are here for you! We enjoy making each item of jewellery to the way you would like it; we keep in touch with you and keep you updated 100% of the journey to getting your jewellery to you. It is because of this and the way we enjoy making each product. We believe that this gives us that edge on other jewellers out there. We decided to sell our jewellery online after starting out selling on sites such as EBay and then moved onto Etsy, where we have built up a good repore with other sellers as well as buyers and continue to do so today. We do also take part in many of the craft fairs around the region, and enjoy spending time with customers as well as other traders in hand crafted gifts. We first started making our jewellery purely out of silver and have since then moved onto Gold and Palladium as well as Platinum and eco friendly recycled metals and materials. We are also proud to say that we now specialize in jewellery making with Bronze. We use many different types of jewels and precious stones; such as Diamonds, Rubies, Emeralds, semi precious stones, naturally resourced stones and Swarovski Crystals. Due to Etsy’s new payment policy’s refunds can take anywhere between 7 and 14 days! I hope you are entirely satisfied with your purchase, but I do appreciate that buying jewellery you have only seen in a photograph can be tricky. For that reason I have attempted to provide as much information in each description as possible. If when you receive your item it fails to reach your expectations, please contact me within 3 days of receipt to arrange return of the goods. I am happy to accept returns (in perfect condition and in the original packaging) for a replacement or refund. The purchaser is responsible for return postage. Jewellery that has been personalised or custom made or altered to your specifications cannot be returned. If you are returning your item then the item should be returned by a fully insured and trackable means of postage (Royal Mail Special Delivery). I cannot be held responsible for any losses incurred should they go astray nor for any postal charges involved in either return or replacement of goods. After the relevant time period has elapsed, sales are then considered final. Due to Royal Mail regulations, one month must elapse before items are considered lost in transit, and refunds for loss cannot be processed until that time has elapsed. We accept Paypal,Cards and etsy gft cards. Please pay for all items at the time of purchase. Feel free to message me with any questions before or after purchase and I always aim to respond as soon as possible. I will be using Royal mail for all deliveries however there are the options for next day deliveries and special delivery. If you would like to have items insured please feel free to contact us at the time of paying. Many of the products in my shop are made to measure in respect of wrist sizes, head sizes, necklace lengths, waist and body measurements as well as shoe size. It is the CUSTOMER'S RESPONSIBILITY to provide the correct measurements when placing an order. If alterations on items needs to be done, additional labour and material costs will have to be charged. If in doubt about any measurements, please contact me and I will gladly help. 1. Jewelry should not be exposed to perfumes, lotions or aerosol sprays. 2. Keep your jewellery in separate compartments, and, if possible, in small ziplock bags. Remove your jewellery when cleaning, showering or swimming in a pool. 4. Most importantly keep your jewellery clean and dry. The fastest way to contact me if through ETSY conversations. If you contact me through my email address there is a chance that I may not respond due to the volume of mail received at my email address. Should you have any queries that I have not addressed, please do not hesitate to get in touch. Please contact me through ETSY convos. In line with the current GDPR European Legislation we want to inform all of our customers what we use your information for. When it comes to your information we know how important its safety is! Therefore we only use your information from Etsy, PayPal, Facebook and our website at www.arpjewellery.com. The personal information that we receive are: your address, name, and potentially contact number. With this information we make sure we keep all of it safe from other people. Your information is used so that we can provide the best possible service to you. By this we mean sending out your orders to you (address), allowing us to make sure your order gets sent to the correct individual (name). Sometimes customers provide us with a contact number and this is for the purpose of updating customers of custom made pieces as well as taking orders over the phone. We do not pass on any information on to anyone or third parties. All of your information is stored for a minimum of six (6) years as per HMRC regulations. Your name and address is stored in a secure manner and where no one else has access to it.